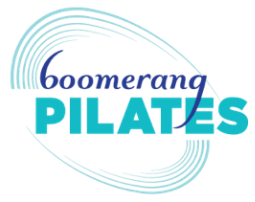 Meghan Hogg completed her Pilates Mat Certification at Body Harmonics in Toronto in 2014. She discovered Pilates, like many others, as a way to cope with a running injury in 2010 and has been practicing ever since. ​As a running and rock climbing enthusiast, a student and a busy professional Meghan believes that Pilates has the potential to bring balance, strength, whole body integration and mindfulness to those of us for whom hours spent in sitting meditation just isn’t going to cut it.